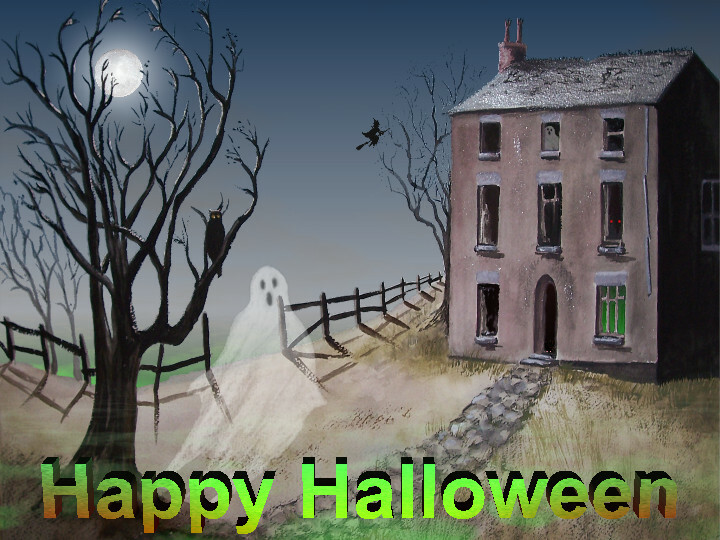 Add additional atmosphere to your Halloween party with this haunted house animation. Watch out for the scary spectacles such as, flying witches, floating ghosts, ghoulish eyes and strange experiments, oh... and let's not forget the spiders!!! Use it as a screen saver or display it on your TV from your computer, DVD player or games console during the party. Use it as part of a rolling playlist to create an eye-catching advertisement for an up-and-coming Halloween event. On selecting this template within the CyberFlair 3D Impressions Studio, the Template Wizard will offer you to customize the title along the bottom of the screen. Once chosen, it's ready to use. To play the animation on a games console, the device must support the movie file format that CyberFlair 3D Impressions creates or you can use the free conversion tool, available by clicking here. Keywords: Halloween, haunted, witch, ghost, scary, ghoul.